24: Legacy is coming to the small screen in 2017. The spinoff of the hit series 24 promises more action scenes with actor Corey Hawkins. 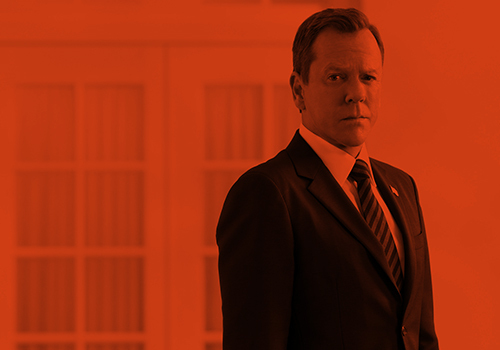 Kiefer Sutherland will be very much involved in the upcoming show. The aforementioned actor who starred in 24 as Jack Bauer will still be part of 24: Legacy. However, he will not be playing the lead character of the highly anticipated series. He will work as an executive producer and not as part of the cast. The action star is part of the team who will work hard to make the spinoff series a hit. He did an excellent job in the original series so fans are hoping for him to reprise his role as Jack. But there is a great chance for the EP to appear in one of the episodes of the upcoming show. Fans will surely be happy to see him on the small screen again as the famous counterterrorism agent. Meanwhile, 24: Legacy will focus on a new character named Eric Carter (Corey Hawkins) who is an Army Ranger. He will be fighting terrorists who are targeting him and the rest of his squad for killing a terrorist leader. Other cast members include Miranda Otto, Anna Diop, Jimmy Smits, Teddy Sears, Dan Bucatinsky, Ashley Thomas and many others. The 24: Legacy is expected to premiere on Feb. 5, 2017, on Fox. For the meantime, watch the video trailers below for a sneak peek of the upcoming television series. A shooting at the White House during a Governors Summit throws President Kirkman’s plans to elect a new Congress into turmoil; Agent Hannah makes a shocking discovery in her investigation of the capitol bombing. Realizing his attempts at diplomacy with Algeria have failed, President Kirkman makes the difficult decision of sending Navy SEALs on a mission that will define his presidency. Meanwhile, as the investigation into the Capitol bombing continues, Agent Hannah Wells discovers more secrets than answers. I have finally gotten around to capping The Lost Boys and have added Kiefer’s caps to the gallery. Now, check them out along with posters and movie stills! 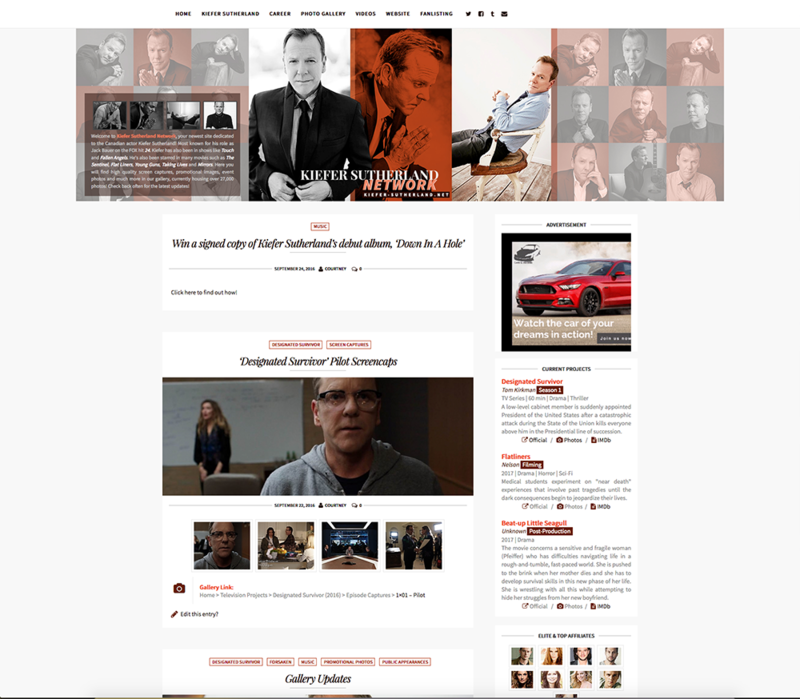 I just wanted to let you know that we have a new look at the main site and the gallery, featuring some of Kiefer’s new photoshoots and portraits. I hope you all enjoy!